National Adult Day Services Week! Join us in celebrating National Adult Day Services Week from September 18th to 22nd! This special week has been celebrated annually since it was proclaimed on September 27, 1983 by former President Ronald Reagan. The third complete week of September is set aside to raise awareness of the availability and accessibility of adult day programs nationwide. 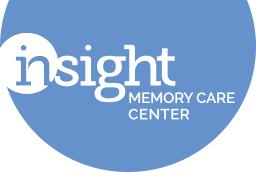 Insight Memory Care Center was founded less than a year after this proclamation, and we have been providing specialized care to individuals living with a dementia diagnosis ever since. Our day center provides a safe, engaging, and therapeutic environment, and we are still the only dementia-specific day center in the area. We pride ourselves in offering quality, person-centered care to all of our participants.